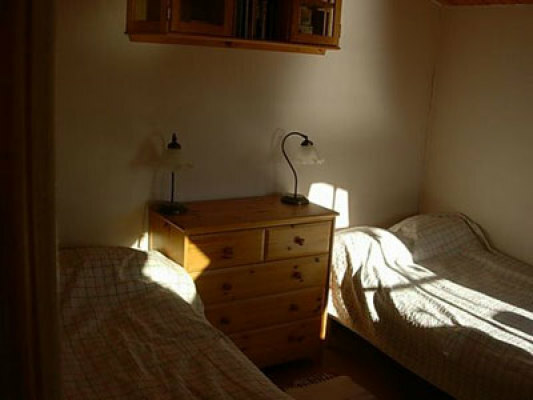 Holiday Home Sweden, Stockholm, Stenhamra: "Stuga Stenhamra 2"
Do you want to visit Stockholm, but nevertheless spend the nights without traffic noise? 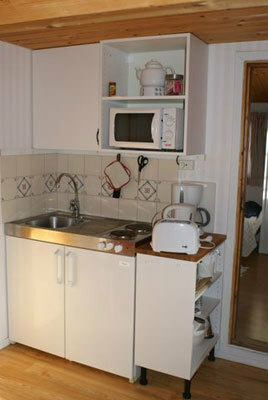 Then this small holiday home which has been renovated in 2008 could be the right thing for you. 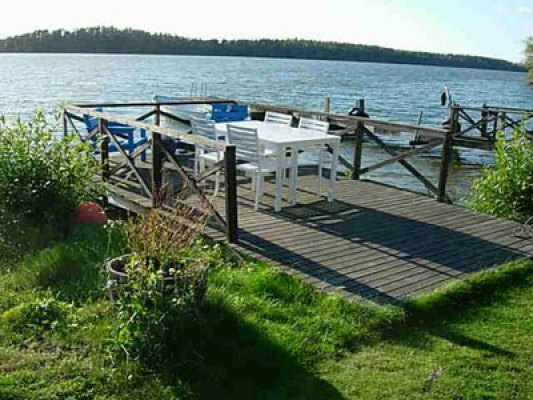 You will live a bit outside the capital on one of the islands in the Mälaren, right at the water and in a very peaceful and older residential area. 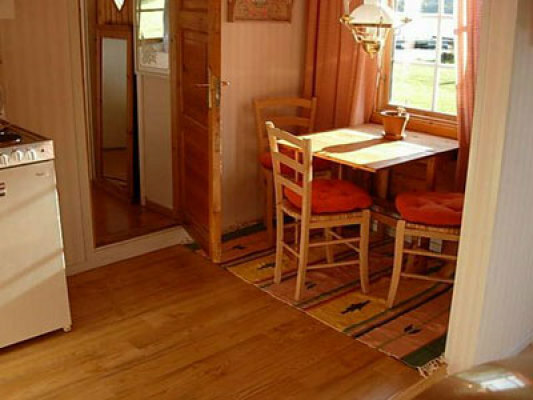 Your holiday home which has its roots back to the 18. century offers to you a living area with kitchen corner, a separate bedroom with two single beds (opportunity for an extra bed) as well as shower and WC. The house withstands winter conditions making it possible to stay here over night also in winter. 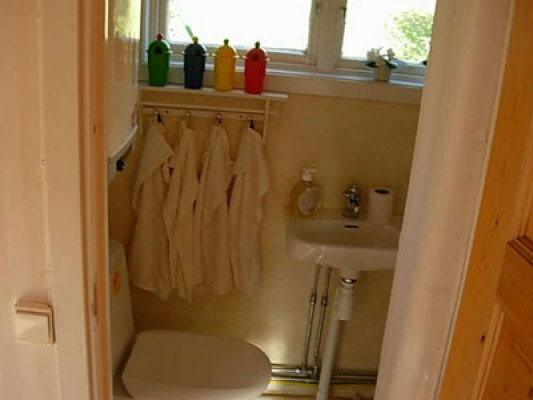 On a warm summer day the advantages of this accomodation really come to light. 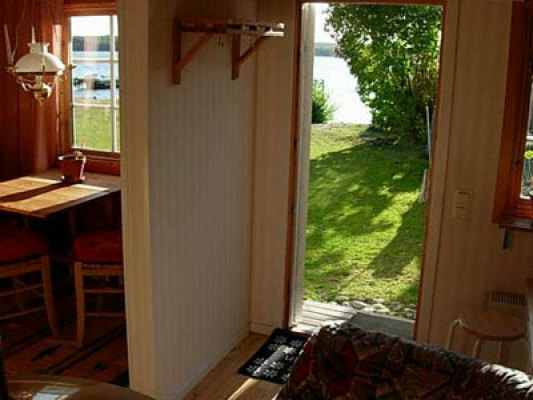 You will have a private place for bathing only a stone´s throw away from the house, you can cope with the waves of the Mälaren in your kayak or why not diving the worm once again into the water and waiting for the best results from the fish scales paradise. Perhaps a big fish will bite. 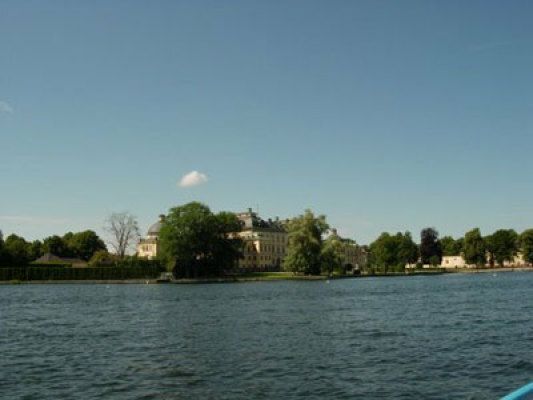 When you are arriving here you will pass the castle of the royal family. The boats on the island leave/depart frequently so that you will come to the city fast and simply. 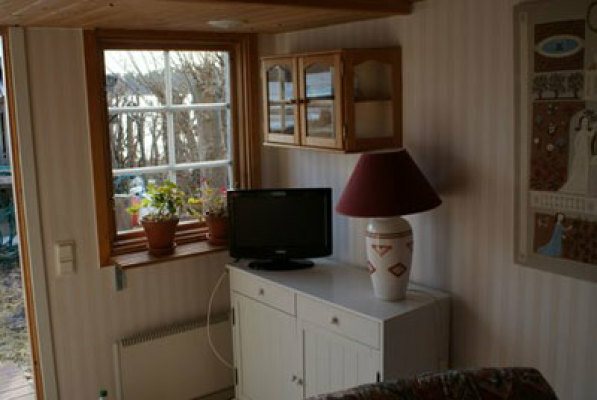 In this way you can hang out in the city during the day and in the evening you return to your small holiday paradise. 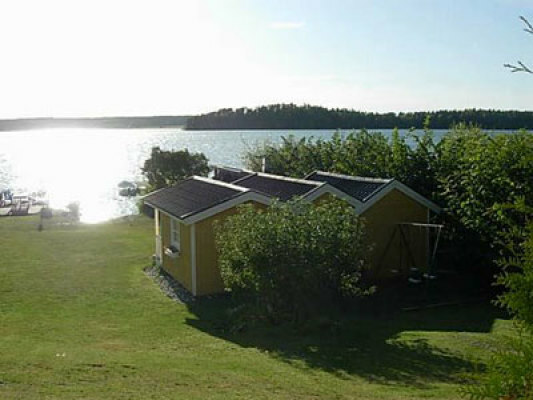 Next door there is another holiday hut which can be rented. 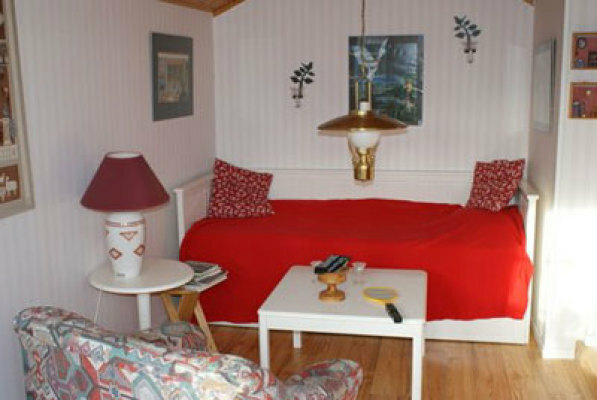 This means that you can plan your holidays near Stockholm here together with another couple who are good friends. 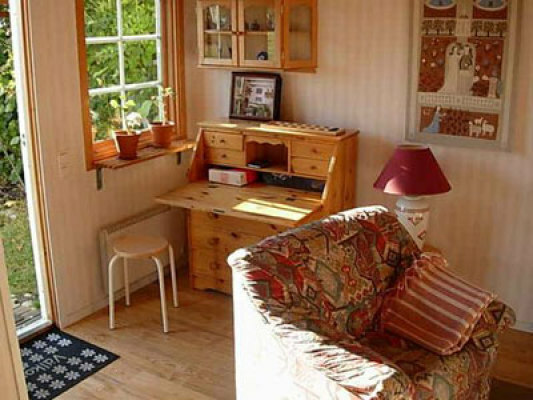 -PLEASE NOTE: this cottage is not suitable for children under 10 years. Our beautiful capital city, also known as the "Venice of the North", is the country's and Scandinavia’s largest city. The inner city has about 850,000 inhabitants and the entire greater Stockholm area more than 2 million. It attracts visitors from all over the world, the number is around 1 million annually. Stockholm is not a province but is located in Uppland as well as in Södermanland. Since the 17th century the border between Södermanland and Uppland is located in the middle of the water between the districts of Södermalm and the Old Town. The city is built on water and consists of 14 islands, which are interconnected with bridges. 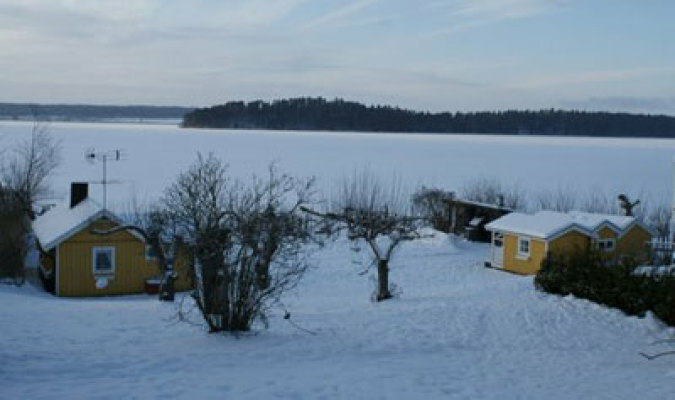 These are located on islands where Lake Mälaren flows into the Baltic Sea. Stockholm has a 750-year history and offers a rich cultural life and a variety of attractions. You can get around by bus, subway or boat. But walking will actually also get you far! If you want to experience a fantastic view over the city, we recommend a visit to the town hall, where you can climb up into its tower. The heart of the city is the Old Town with its extremely well-preserved medieval town center. The Old Town is also where you will find the Royal Castle and the Cathedral. 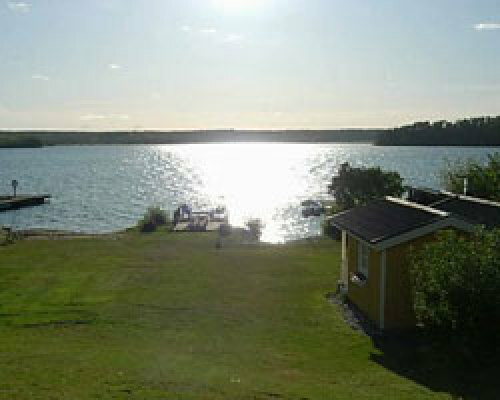 On the green island of Djurgĺrden some of Stockholm's most popular attractions can be found. Visit the world famous warship Vasa, the world's oldest open air museum Skansen, or Astrid Lindgren's amusement park Junibacken as well as Gröna Lund's tivoli. Do not miss to see Stockholm from the water. And should 14 islands not be enough, visit the amazing archipelago with 30,000 islands, islets and reefs. Welcome to Sweden's capital Stockholm!